Abstracts: This year is the 70th anniversary of the Department of Chemical Engineering at Jiaotong University. 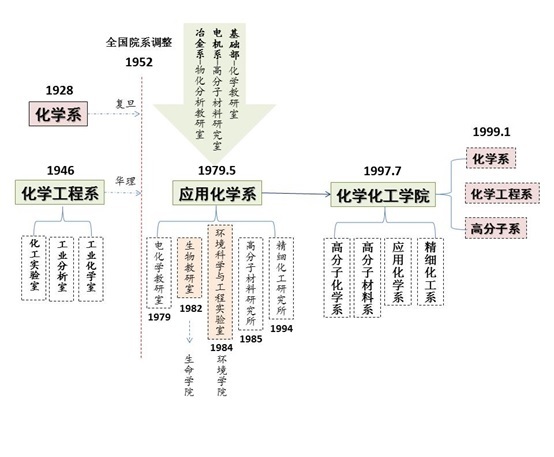 Development of chemical engineering discipline at Shanghai Jiaotong did not go well because the readjustment of national institutes in 1952. In this paper, the history of the Department of Chemical Engineering at Jiaotong University was reviewed briefly. The development route of chemical engineering education and research achievement obtained at Shanghai Jiaotong since 1980 were summarized，and the development roadmap of Chemical Engineering education at Jiaotong University is suggested.